Jammin' Jambalaya Brass Band Orlando, Florida. - Jammin' Jambalaya Band,​ ​Band Source Productions, Inc. 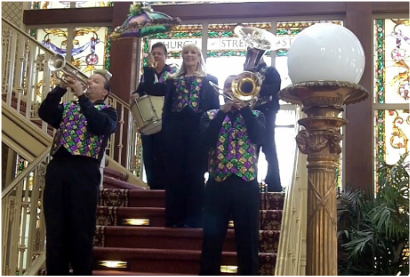 This bold and brassy band specializes in parading corporate guests from one location to another. They welcome your CEO or special guest to lead the parade with our second line umbrella to join the band onstage. The Jammin' Jambalaya second line brass band in Orlando, Florida. 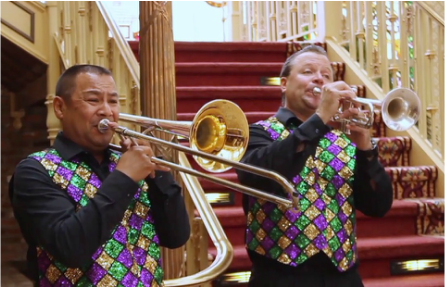 This versatile second line brass band performs for parades, corporate events and weddings.